Surf Pool is one of the rising trends of waterparks, surf houses, surf clubs, wave houses, wave clubs, shopping malls and outdoor entertainment activities. Surf Pool that is able to provide unforgettable experience to all its users is preferred by many facilities. The challenge to surf the water, which is one of the most recent forces to be faced in nature, offers a unique adrenaline opportunity to its users and increases motivation. In addition, it has a physically challenging feature and accordingly it is produced with the help of Atlantis Pool. Atlantis Pool, surfing pool manufacturing and surfing pool design makes sure that every model is suitable for everyone. Surf pools with Basic and Pro models are a product that people of all ages can easily try and enjoy. Many world-renowned brands such as RedBull, Coca Cola and Quicksilver have benefited from surf pools during their marketing campaigns and festivals. Surf pool entertainment continues to any show and many events. Atlantis Pool's surfing pool manufacturing has a professional and reliable understanding. Atlantis Pool offers users a safe sense of entertainment while never compromising on quality and confidence during the surf pool construction. 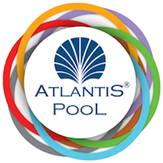 The surf pools produced by Atlantis Pool are starting from 15 meters long and 8 meters wide. The electrical evaluation of these flowboard and bodyboard models with a tank depth of 1.5m-2m starts at 55 kW. If you want to have one of these surf pools as an extraordinary business and to b one step ahead of your other competitors in the leisure and entertainment, you can contact Atlantis Pool and easily get special price offers for surf pool system for unforgettable and unique surfing pool experience to your visitors. Possible number of riders at the surf pool at the same time. Total dimensions of attraction including technical areas such as exit ways, balance tanks, machine room, etc. Models not ending with TR are powered by Sweden/German made pumps. These models manufacture time is 16-18 weeks. System warranty is 24 months after testing and commissioning against manufacture and installation errors.